Kaytee Fiesta Parrot Food, 25 lbs. 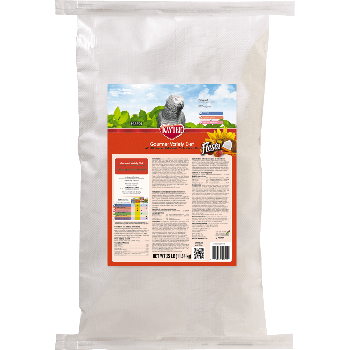 Kaytee Fiesta Parrot food is a nutritionally fortified gourmet diet made of a premium blend of fruits, vegetables, seeds and grains offering maximum variety, fun and nutrition for pet birds. Fiesta contains prebiotics and probiotics to support digestive health and is formulated with your bird species in mind.